This week, Life in the Boomer Lane dreamt that she was with Prince Charles, shortly after Diana’s death. Prince Charles was represented in the dream by the persona of a close friend of LBL. LBL coached him (the actual Charles, inside of LBL’s friend) in a concise, transformational way about the meaning of his life, after Diana’s death. He cried and told a third person in the room (LBL has no idea who this was), “That’s why I love this woman so much!” (meaning LBL, not Camilla, who was probably waiting offstage to grab the now-available prince). The dream has stayed vividly with LBL since then, while almost all other dreams have vaporized in the same way as Trump’s thousands of utterances, emanating from some place in his body other than his brain. According to a team from The Swansea University Sleep Lab in the UK, dreaming really does help us process the memories and emotions we experience during our waking lives. They recruited 20 student volunteers for the study, all of whom were able to recall their dreams frequently. The students kept detailed journals of their daily lives for 10 days, as well as significant personal and emotional events. They rated their own emotions. 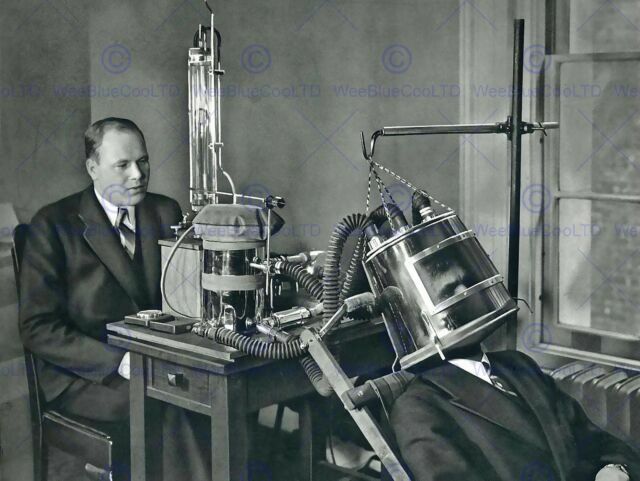 After that, they spent time in a sleep lab being monitored with “non-invasive electroencephalography caps.” (Note to Readers: Do not, under any circumstances ask LBL to explain the meaning of “non-invasive electroencephalography caps.” LBL believes they are like those brain-crushing rubber caps that salons used to use to highlight hair.) Researchers were able to observe and record the activity of the brain waves associated with slow-wave sleep (large irregular activity, or LIA) and rapid-eye movement sleep (theta activity). Here’s what they found: More activity during the day equaled more intense theta waves (deep REM sleep). In addition, dreams that had a higher emotional impact were more likely to be incorporated into the sleeper’s dreams than boring, humdrum everyday stuff. The most interesting finding was that this only applied to recent events, not old memories. This might pose a problem for those of us whose new experiences came to a grinding halt somewhere in the 1990s. What does all this mean? It might mean that eventually, REM sleep and theta brain waves could be manipulated as a form of therapy, allowing people to better process uncomfortable events. At the very least, it might mean that the researchers had a vicarious field day listening to the dreams of nubile, young college kids. Feel free to send LBL your dreams for her own uneducated, biased, and highly political interpretations. She accepts all subject matter, with the exception of flesh-eating bacteria and Stephen Miller. Wow. I assume that was me you were talking about when you mentioned the dream seminar. And I didn’t even have to go out with a creepy guy. Funny. This one was in Raleigh, NC. Yes, not having to go with a creepy guy is always a bonus. “non-invasive electroencephalography caps.” Placed on, not in your head. IE – glue not nails. I once when to a therapist and asked the meaning of a dream. He suggested a 28 week therapy plan to figure it out. And those are some brave researchers – there are dreams of students that I don’t think I want to know about. I’ll bet that doctor now has a lot of paying patients who are in permanent therapy, simply to talk about their dreams. And yes, I don’t think I’d want to know what those students were dreaming about. Unsavory. I’d just be fascinated to know how Prince Charles got into your dreams. 20 students … wow, that’s an accurate sample of 8 billion people’s dream states! Yes, but they were college kids. Twenty college kids are like 8 billion real people.